Yang, F. (2018, June 11). 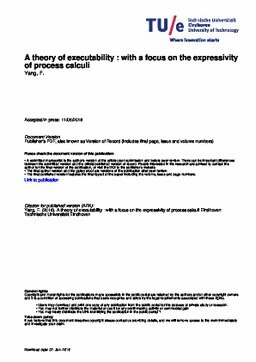 A theory of executability : with a focus on the expressivity of process calculi. Institute for Programming research and Algorithmics Dissertation Series.